Forget about funny costumes and superhero costumes because zombie getups are all the rage. The zombie apocalypse is coming on the 31st of October and anyone and everyone is bound to fall victim. Disguise yourself by wearing one of these zombie costume ideas for Halloween. 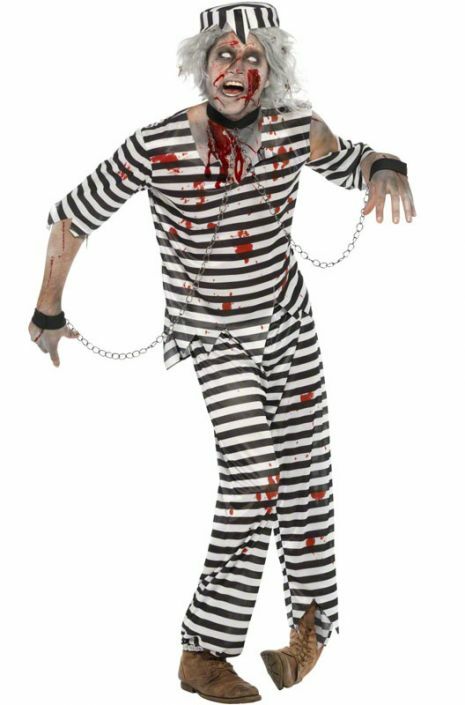 Pursue your dreams and nightmares in these adult zombie costumes that will give people the right amount of spook. 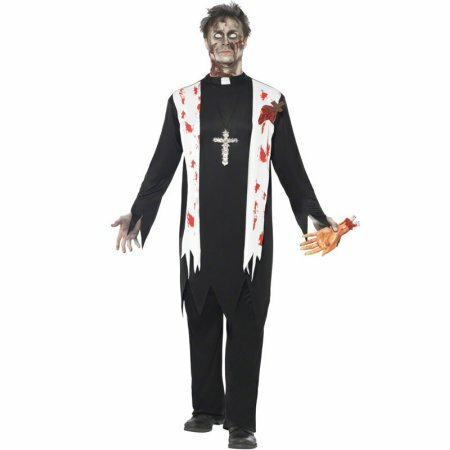 Become a flesh-eating priest this Halloween. 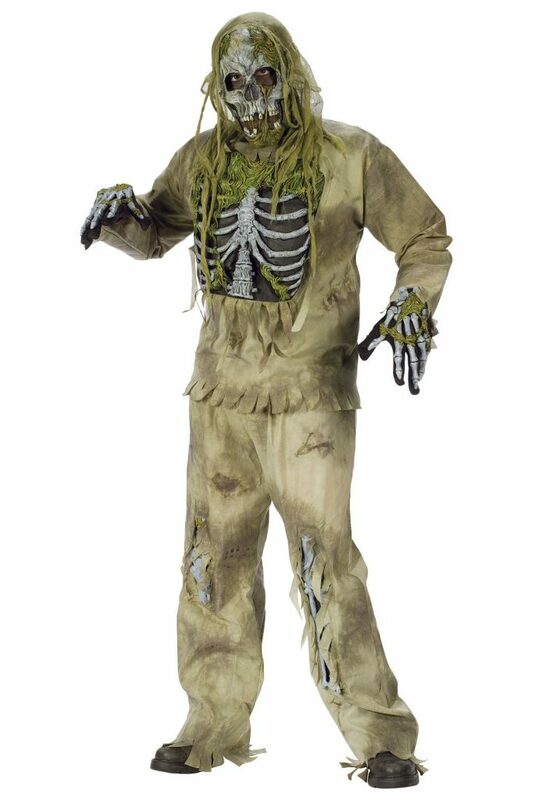 Make the other partygoers confess to their sins by wearing this terrifying zombie costume for men. Look like one of the original prisoners mad scientists have tested on or simply one of the many prisoners that was contaminated by the zombie outbreak. Nothing is scarier than a flesh-hungry fiend. Everybody will surely be scared buying ice cream from a zombie. 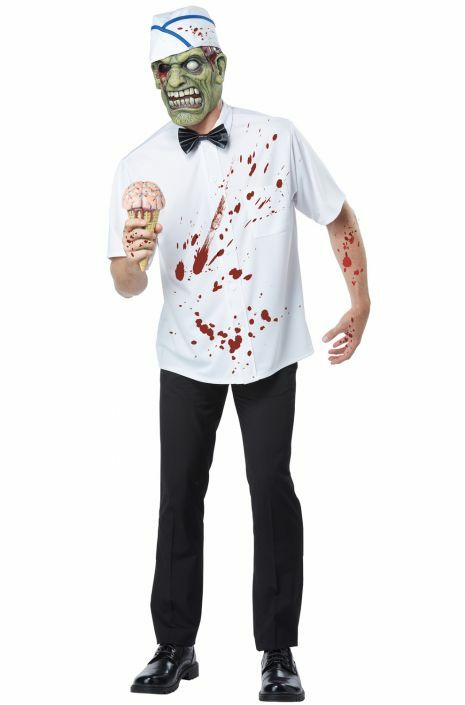 This coming Halloween, this ice cream man zombie costume clothes will surely be unique. 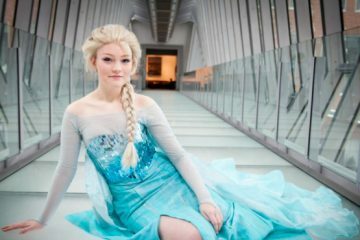 Ready for a deadly case of brain freeze? Serve up your friends a scoop of brain ice cream. It looks like you’ve fallen victim. 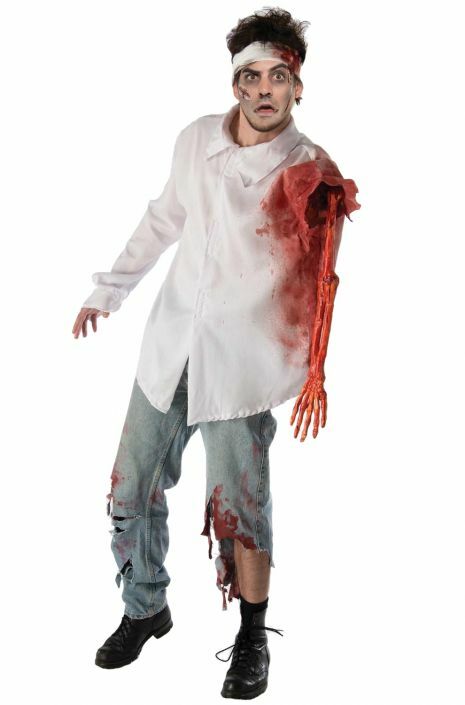 Fright everyone with this zombie attack shirt that comes with a bloody prosthetic arm when you go into the house party this Halloween. Look for some brains to consume for the night as well. 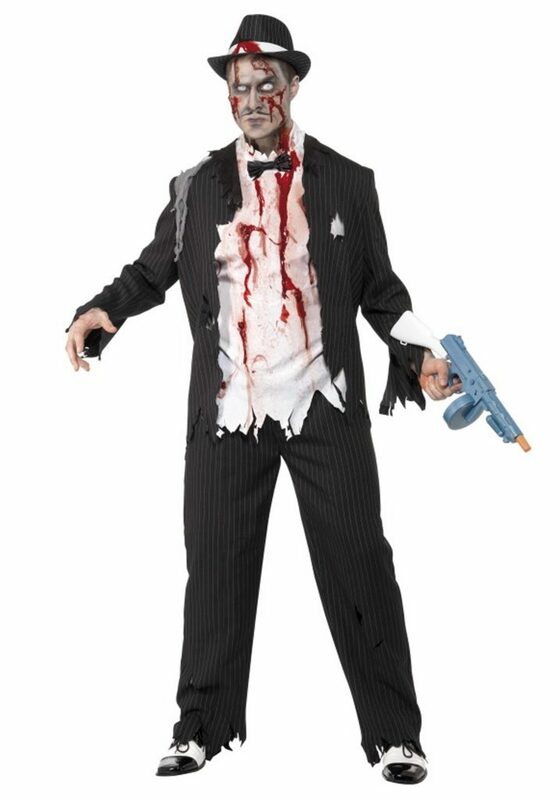 This zombie gangster attire is a smart way of commemorating your love for the country’s hooligans and the living dead. It’s a disturbing getup that will surely guarantee you some screams. 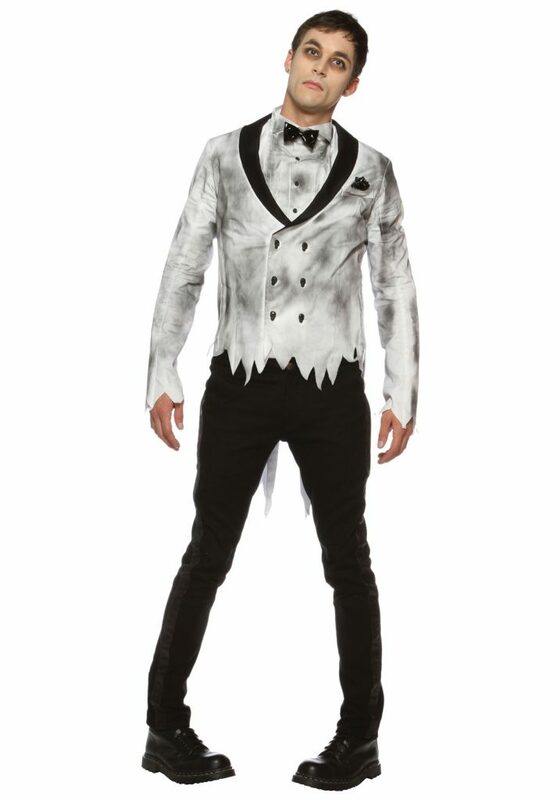 Walk down the aisle in this zombie groom costume. 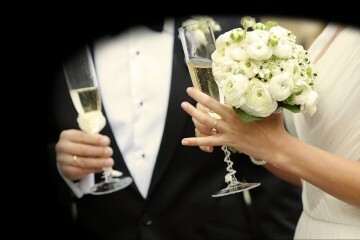 Don’t move slow enough or your bride will have a lot of time to flee. 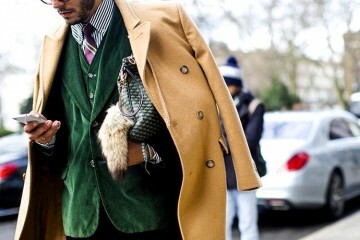 Gnaw on a few of those unfamiliar guests wearing this bloodcurdling style. Spook the humans with the light-up eyes from a distance, an indication that you’re coming after them. Once they see your eyes fade into the darkness, so will their lives too. Being a zombie football player has a benefit—that’s not being able to feel the hits and bumps from the opponents. 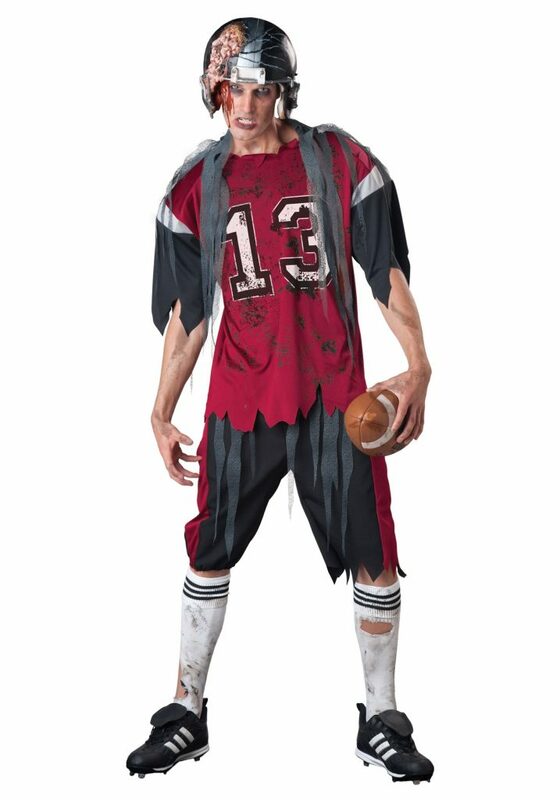 Concentrate on the game instead of searching for brains in this disturbing zombie football player attire. This Halloween, sport a corpse that’s in the process of decomposing but suddenly ended up getting tainted by the zombie infection. Not sure if you would like to be fully clad in a skeleton or a zombie? This outfit is two-in-one already. 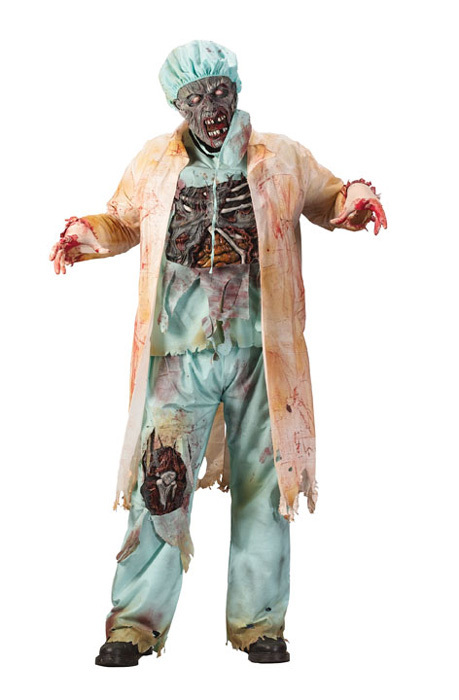 This undead doctor getup will make you look like a surgeon that’s just munching on his next gory meal. 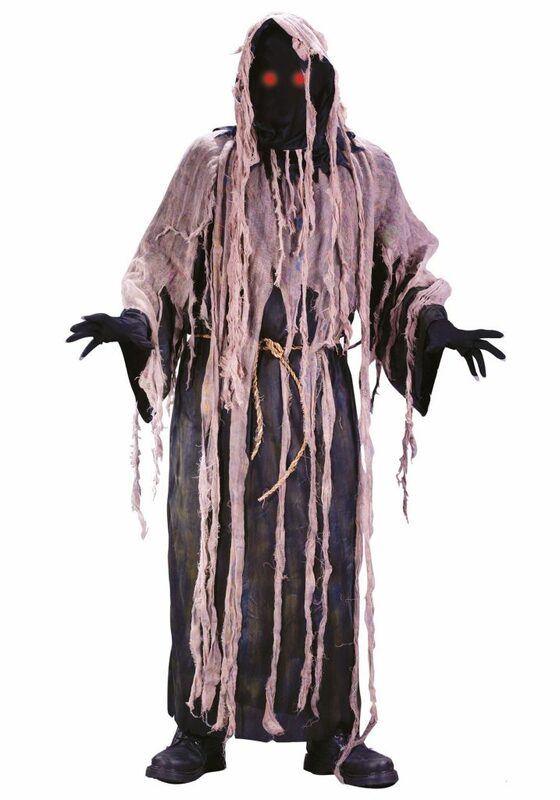 This is a spine-chilling and one-of-a-kind zombie costume for adults that one must not ignore. We suggest getting girl pal to wear a zombie nurse costume for double the trouble. 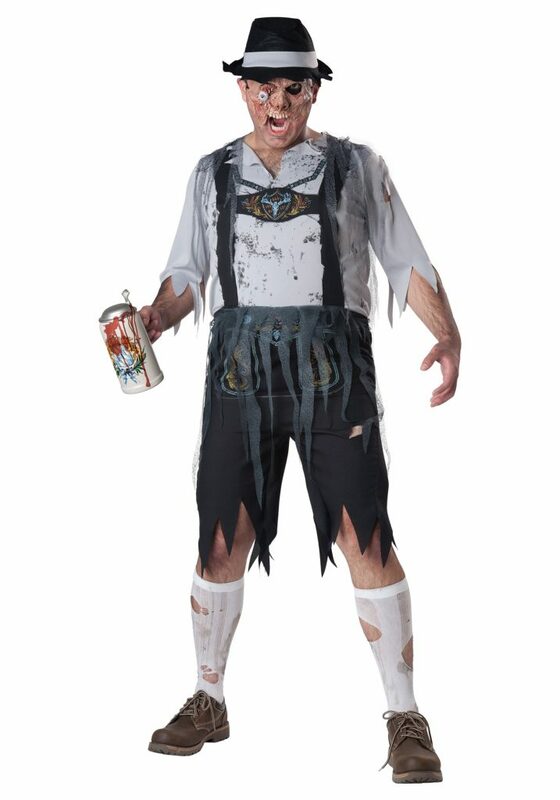 Even the zombies would like to celebrate Oktoberfest. Show up at beer gardens wearing this costume. We’re pretty sure the newest item on the Oktoberfest menu is brains and blood. 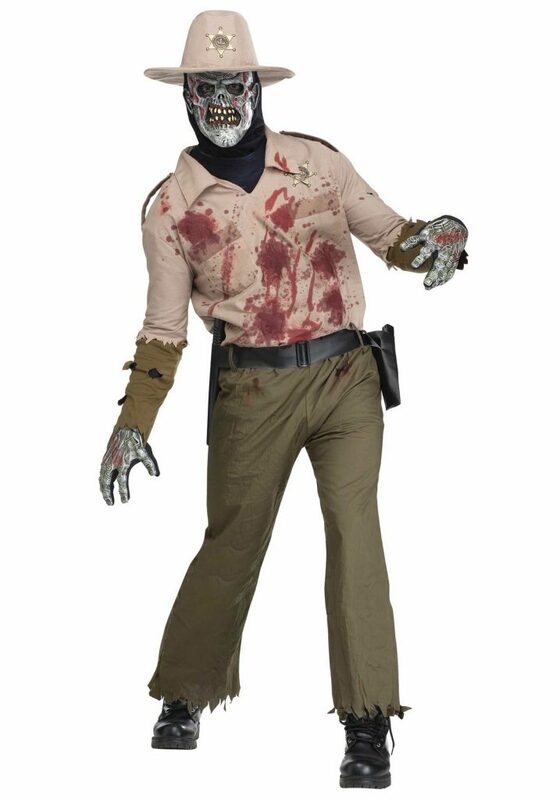 While sheriff costumes are boring, zombie sheriff costumes aren’t. There’s only one rule that zombies need to abide – the strong eat and the weak are eaten. Are you excited to become a flesh-eating monster this Halloween? Don’t forget to take a walk on the dead side as you turn into one of the undead. Look good in your zombie costume clothes and scare the hell out of everybody.